Our beard grooming kit includes everything you need to keep your beard in top shape. 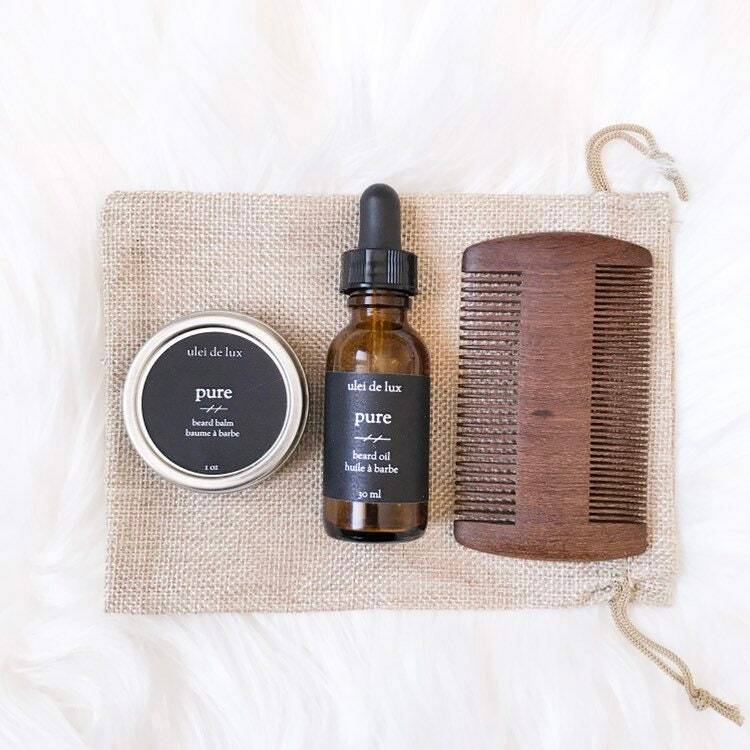 Packaged in a reusable burlap drawstring bag, it contains beard oil, beard balm and a wooden beard comb. This grooming kit makes the perfect gift for your husband, boyfriend or father. - 1 x Beard oil (1 oz): Moisturize and condition your beard with our beard oil created from argan oil, jojoba oil, sweet almond oil, castor oil and vitamin E.
- 1 x Beard balm (1 oz): Tame flyaways and add shape with our beard balm crafted using shea butter, beeswax, and sweet almond oil. - 1 x Beard comb: This wooden comb distributes oils more evenly than a plastic or metal comb and won't create static. Comb measures 10 cm x 6 cm (3.75” x 2.25”). Beard Oil Ingredients: Sweet almond oil, Argan oil, Jojoba oil, Castor oil, Vitamin E, Essential oil. 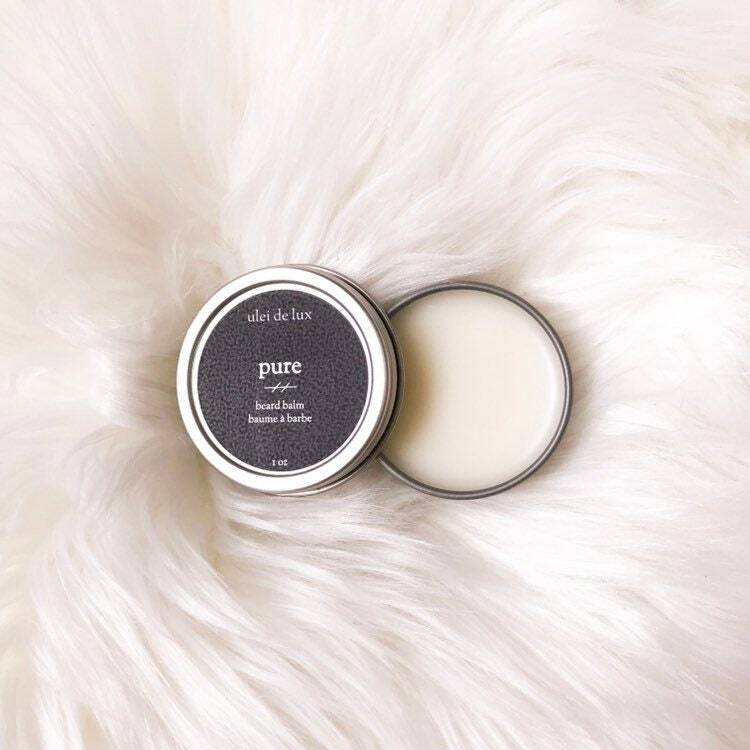 Beard Balm Ingredients: Shea butter, beeswax, sweet almond oil, essential oil. My husband really likes the kit. The scent is nice. Not too overpowering. Very nice gift pack that was very appreciated by the hubs. We both like when he uses the coffee scented oil or balm - it smells awesome! arrivé dans les temps. Joli peigne !